Tableware and tools provided by Tavola stores in the Middle East, www.tavolashop.com. This was written, photographed and styled by Kari Heron for Gourment magazine. There is something absolutely magical about cooking with kids. Maybe it is their sharp sense of humour or wide-eyed enthusiasm about mundane tasks but having children help to prepare food is anything but ordinary. 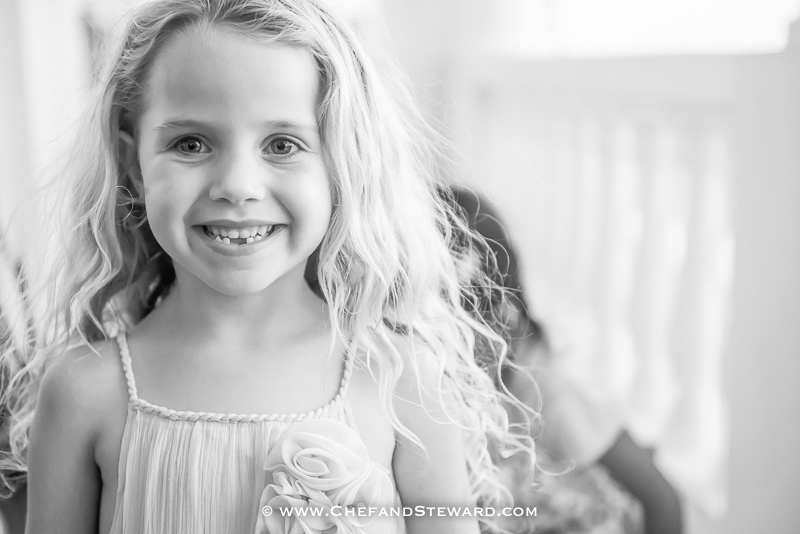 Food preparation is a bit of everything that kids love all rolled up into one. They get to get their hands dirty touching different textures and trying new things, see things transform from one state to the next and if you actually engage then along the way, they have lots of fun. The absolute best part is that they get to eat the fruits of their labour and be praised about how great they were. Good luck with the clean up. These recipes are very kid-friendly and are perfectly suited for grown ups just the same. 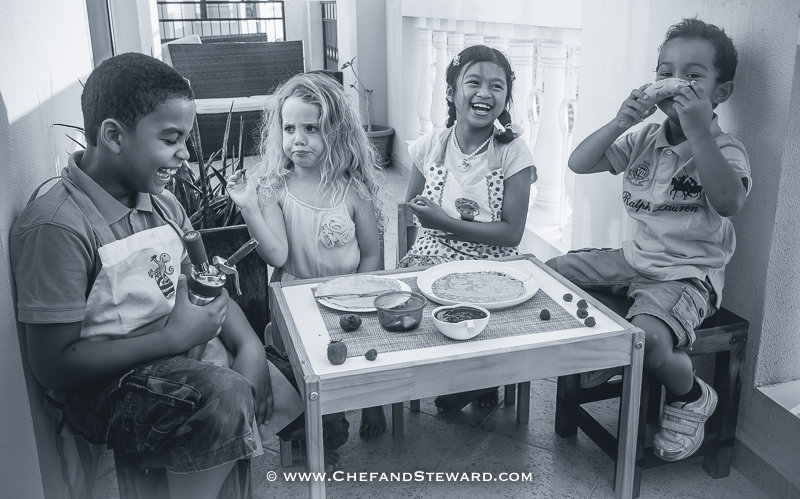 Cooking with kids should be fun and light hearted while practical, budget and time-friendly. We are exploring some classic flavour combinations to expose their little gourmet palates and teaching them how to switch things up and create new recipes by giving them two options for one recipe. By the time they are done making these dishes they will be excited to conduct a little kitchen experimentation any time you need help or need to rescue them from boredom. Before you know it, you will have teens who will be able to make you breakfast in bed. Now that is every parent’s dream. I have never met a child who does not love having a Pina Coloda. This tropical drink is a summer favourite of children all around the world with its fruity sweetness. It is actually a vegan milkshake suitable for lactose intolerant children as well. This recipe contains no sugar and uses honey and a very sweet ripe pineapple as natural sweeteners. 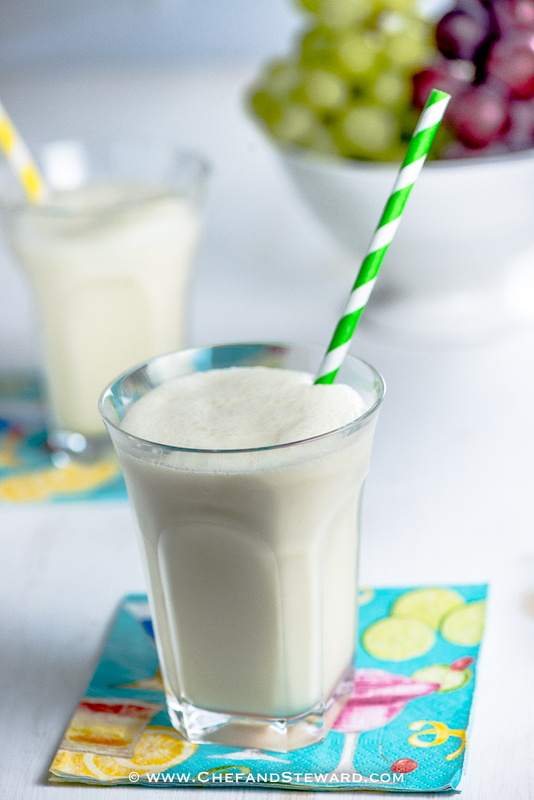 Unlike other recipes for pina colada, this one uses the whole fruit so you get the fibre and no added sugar. I was inspired to make this delicious drink when I saw Dubai-based Nutritina Coco Yogo’s absolutely yummy all natural coconut butter. Coconut is so healthy for you and the butter is a great addition to shakes and even toast! Blend everything together, pour into a glass and serve. 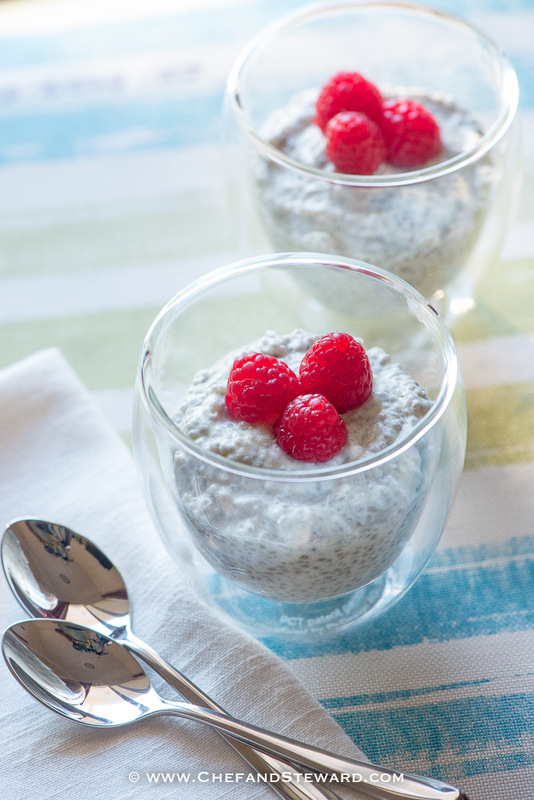 This is a great breakfast dish or even a guilt free raw vegan dessert suitable for those who are gluten intolerant as well. This no cooking pudding is as easy as pie and is rather beautiful to look at. Top with fresh fruit for a texture contrast and enjoy. « Jerk Chicken Waldorf Salad Recipe – Yeah Man! Thanks much Sujana! Happy you liked it!